Williams-Sonoma, a specialty retailer of premium home products, is one of the four interconnected stores at the Chadstone Shopping Centre. It is located on the lower level near David Jones. The Williams-Sonoma store at Chadstone is a perfect fit to Melbourne's dynamic culinary and design culture. An extensive range of cookware, cook tools, appliances, bake ware, food, table top and bar cutlery, and outdoor essentials and accessories are on display. As mentioned previously, the store interconnects to three more that happen to be its children brands – Pottery Barn, Pottery Barn Kids and West Elm. You can easily move between stores and shop across the four renowned brands. 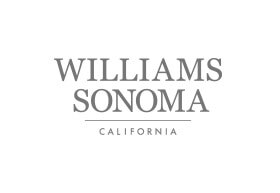 The retail giant's name is inspired by founder Chuck Williams and the historically significant city of Sonoma, the location of their first store. Williams, who is considered one of the forefathers of the American food revolution, started the brand with the vision of merchandising high-end, highly functional cookware, home furnishings, and speciality foods and skincare products to consumers. Starting from the kitchen, the company expanded to every area of the home. Today, Williams-Sonoma operates more than 560 retail stores in the United States, Australia, Puerto Rico, Canada and the United Kingdom, and franchises to third parties in the Philippines and Middle East. They are also one of the United States' biggest e-commerce retailers, making their vast range of high-end products available globally online and through catalogues. Besides their eponymous brand and Williams-Sonoma Home, the company's portfolio of brands includes Pottery Barn, Pottery Barn Kids, West Elm, Mark and Graham, and Rejuvenation.